One of the most persistent fallacies is the reflexive association of wealth with wisdom,” investor Ed Borgato tweeted this week. Another is the association between intelligence and good decisions. Intelligence increases the ability to fool yourself with elaborate stories about why something happened. Intelligence pushes you toward the idea that complex problems require complex solutions. Even when a problem requires a complex solution, the ability to communicate it in simple terms is indispensable to getting people to take you seriously. 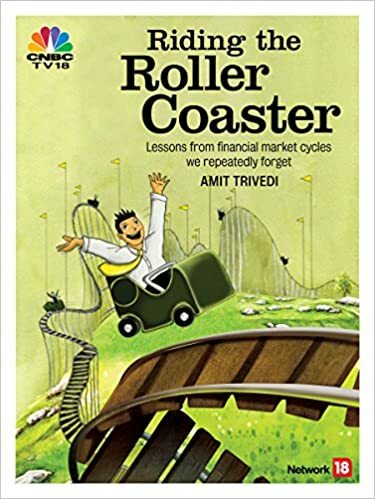 There are stories of some intelligent and brilliant investors in the book “Riding The Roller Coaster – Lessons from financial market cycles we repeatedly forget”. The list is quite illustrious. he subject of behavioural economics, or behavioural finance, or plain simple investor psychology has been around for decades. However, it came into limelight only in last few years. Today, more number of people are talking about this subject. The fact is, ever since humans started dealing with other humans – even before money was invented – the relation between price and value has always been a subject of debate. There have been opinions justifying the price for the value and there are opinions questioning the price with respect to the value. Probably trade happens only due to such differences in opinions. However, when cold logic is applied, it is often difficult to arrive at a decision. Add a pinch of emotions and you are able to arrive at a conclusive decision and act on it. However, emotional decision making has its own flaws. It is important to understand the role of emotions in our life and the flaws associated. These emotional flaws reduce the upside in case of our financial decisions or they increase the costs and the risks. Recently, I came across a brilliant article on mistakes that many investors make. It talks about the common mistakes many investors make and there are psychological reasons behind these. Investment decisions are taken more often based on biases like these rather than the economic ones. We know what happened later. First came a forecast, which went horribly wrong and then came a denial that this is not e problem. … If prices fall drastically enough, they become the lepers of the financial world. Conversely, if prices rise rapidly, everyone wants in on the fun. William Bernstein wrote in “The Four Pillars of Investing – Lessons for building a winning portfolio”. Eventually, it’s all in the mind. The value of an asset is always in the way it is perceived. When you think of market price, it often gets misleading. The crowd sets the prices of the assets and the crowd depends on the same. This often becomes a vicious or a virtuous cycle. The crowd leads itself astray. Large-scale speculation in any asset is a recurring phenomenon. History suggests that every now and then, we will witness euphoric activities – the asset may change, the people may change, the place may change; but there will always be some such events at an amazing regularity. This is the period when common sense takes a back seat. Incidentally, the current indicators, all point in only one direction – that of the current momentum. The Pied Piper of speculation is at work. Just like the story above, the music is heard only by those who get into the spell of the market and they cannot control themselves from following it. In the story, the Pied Piper took the children to the other side of the hill never to return. In real life, the Pied Piper of speculation takes investors’ money to the other side of the mountain (called expensive markets). People chase the hottest fad assuming that this is never going to end. The immediate past is extrapolated into infinite future. Humans are believed to be the only animals with the power to imagine. We can imagine situations that are not there yet, or events that have yet to take place. This ability has probably been one of the major factors behind all developments. So when we are feared, we imagine the possibility of an event with unacceptable or bad outcome. And imagination of profit leads to en emotion known as greed.